Almost four kilometers swimming in the water, 180 km on the bike and 42 km running – and all right in a row? No problem for triathletes Andreas and Michael Raelert from Rostock. A few weeks ago Andreas won second place at the Ironman Hawaii, the Ironman World Championship - it is the hardest triathlon in the world. His brother Michael finished his debut race there in 31st position. Seriously ill children? To see how their health status becomes more and more worse? Not to be able to help? To be talking to desperate parents? This is of course a major problem for the two world-class athletes. Therefore, they have decided to do something: They collect donations for the project "Mike Möwenherz". The Raelert Brother’s occupation: professional triathletes. Andreas Raelert took part in his first triathlon in 1993 - in his hometown Rostock. Until 2008 he was member of the german national team, he was an Olympian in the 2000 and 2004 Olympic Games. Today, he starts only on the Ironman distance and lives in Rostock. His brother Michael is four years younger than Andreas and lives in Berlin, he is dividing his time between the two cities. He is racing on the middle distance, which is half as long as the Ironman distance. His coach is Andreas, who also trains himself. It’s a 24/7 business, they train every day, except 14 days of vacation at the end of the season. Their “job” includes 20 to 50 hours of training every week. "It's a passion that I could make a career out of it – it’s the fulfillment of a lifelong dream", the 36-year old Andreas says. "I will do it yet and for the next four or five years - my brother Michael will remain a little longer in competitive sports." 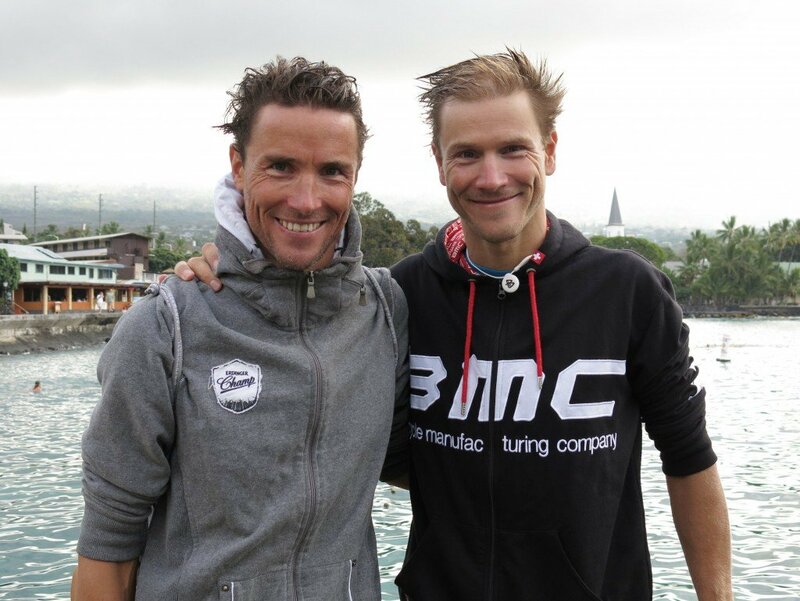 The Raelert Brothers are among the world elite of triathlon. “If you are successful, you receive a lot of good things”, they say - and they want to give a piece of it back. Furthermore, one of their friends lost her child. "At this point you really realize how good life is to you. Our small ,everyday problems’ are nothing compared to what these families have to endure", Andreas says. In the cancer station of the Children's Hospital in Rostock the brothers met seriously ill children. "These are impressions you will never forget – you keep them in your mind." Both athletes became the two ambassadors of the Swiss organization "Help-for-Hope", which realizes projects to help children all over the world. And from that moment on there was the question, if the Raelerts know a project in their own community, which they want to support. This was it, how the idea was created to help "Mike Möwenherz". An initial donation was made at Michael Raelert’s Ironman debut race in Regensburg in the summer of 2012, where he was runner-up at his first shot on the Ironman distance. Before this race, Michael had decided to donate $ 50 for every completed race kilometer he – 226 kilometers at the end. To help the project “Mike Möwenherz” also means to take many unexpected hurdles. "In sports, it is simple: you want to reach a certain goal, a race, a time, a place – after that you have your moment of success", Andreas says. "But with such a project of help, it takes much longer to see results. It is much more complex than we thought before." With their involvement the Raelert Brothers want to generate attention for the topic of a palliative care at the children’s home. On the other hand they want to collect donations. They give their own money for it, but they also go ahead with activities in the public. They have designed a special T-shirt with an own logo – there are only 100 copies existing for 25 euros each. The money from the sale is completely given to "Mike Möwenherz". "We have also collected donations at a Triathlon Gala in November, and also in our immediate circle of partners and friends, we find more and more supporters - that impresses us most", Andreas says. So far, a five-figure donation was made. Andreas and Michael Raelert are on the road for their sports about 300 days per year. But if they have time, they visit Dr. Carl Friedrich Classen and his young patients on the cancer station of the Children's Hospital in Rostock. "Many people there have the same goal, but the way to reach it is difficult. But we have the impression, that the project has made a move forward in recent months."